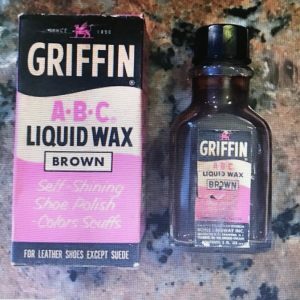 The Griffin Manufacturing Company, makers of shoe polish, was started by Anthony (Tony) Aste in the mid 1880’s. Nick-named the “King of Bootblacks,” he turned a single shoe shine stand into the world’s largest maker of shoe polish. Also a well known thoroughbred race horse owner, his story was summarized in his December 8, 1954 obituary printed in the Brooklyn Daily Eagle. Anthony L. Aste, 88, of 29 Prospect Park West, who rose from roving boot black to millionaire and president of the Griffin Manufacturing Company, makers of Griffin shoe polish, died after a heart attack in Long Island College Hospital, where he had been under treatment for the past two and one-half years. In 1885 Mr. Aste rented space in the produce exchange building in Manhattan and installed the first high chairs for shoe shining. He branched out into other buildings in the financial district. He hired a chemist to develop a superior polish for his stands. The polish was so successful that it was bottled and sold to other bootblacks. From that beginning he formed the Griffin Company, which for many years has been at 410 Willoughby Avenue. In the late 1890’s he began racing horses and recently received a plaque from the Belmont Park track citing him as the oldest living racer of horses in America. He counted as one of the most memorable days in his life the occasion in 1901 when he sold a horse which cost him $4,300 to William C. Whitney, the millionaire, for $50,000 at the Sheepshead Bay track. Born in Manhattan’s lower East Side, he lived in Brooklyn for over 50 Years. The obituary mentioned that Aste opened a shoe shine stand in the Produce Exchange Building which was located at the foot of Broadway in lower Manhattan. At the time, it was the custom to have shoes shined by someone on the street while you stood on one foot and then the other, so this was a relatively new concept. He paid $660 a year to operate the stand, or “throne” as it was known back then, at the Produce Exchange. 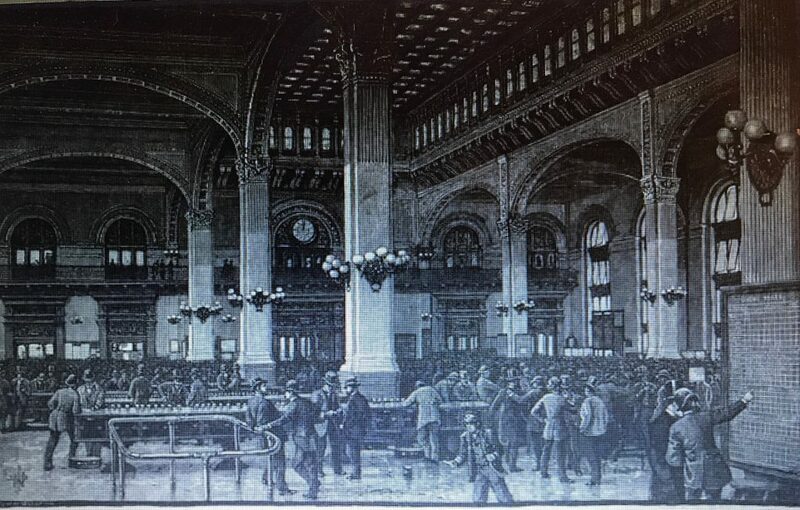 A photograph of a large and extremely crowded main hall of the exchange taken in 1886 confirms that Aste had made a shrewd investment. Neither Aste or the Griffin Manufacturing Company were mentioned in the NYC directories until the mid-1890’s. 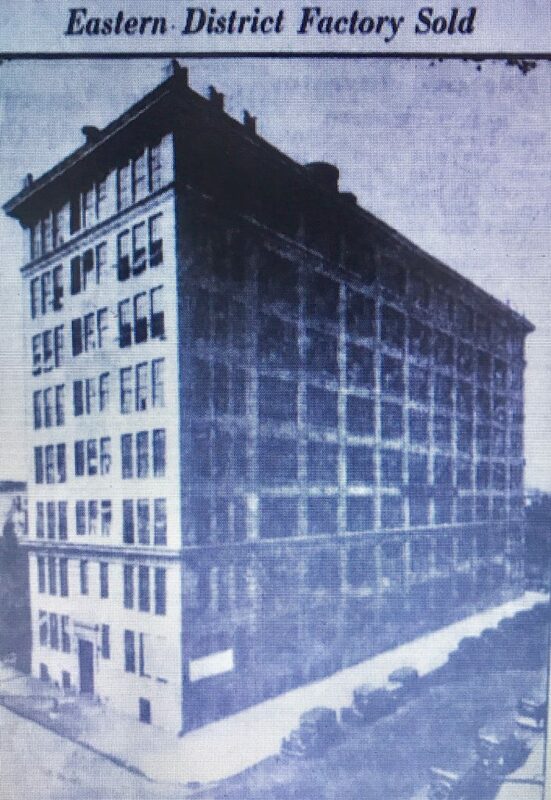 Aste was first listed in 1896 as a blacking maker located at 82 Cortlandt Street and the Griffin Manufacturing Company ( Anthony L. Aste, proprietor) first appeared in 1900 at the same location. Sometime in 1907 or 1908 they moved to 69 Murray Street and around 1914, the company incorporated in New York State. 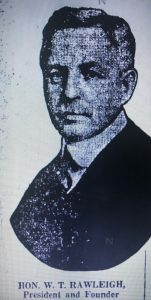 Both the 1914 and 1919 NYC Copartnership and Corporation Directories listed Antony and his son Robert as the company’s president and secretary respectively. The business remained listed at 69 Murray Street until the early 1930’s when they bought a building on Willoughby Avenue in Brooklyn. 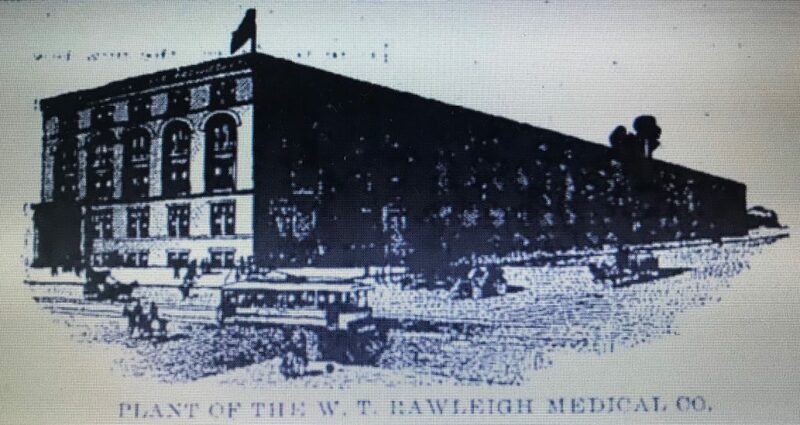 The purchase was announced in the December 31, 1933 issue of the Brooklyn Daily Eagle. 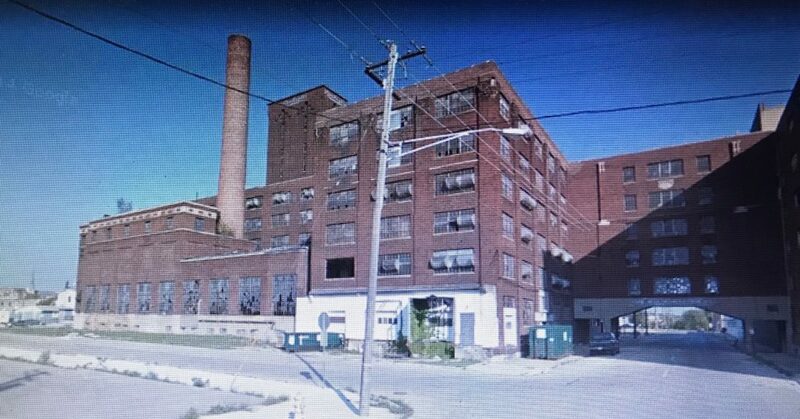 The factory at 410 to 424 Willoughby Ave. has been sold for the Ahlecy Corporation to the Griffin Shoe Polish Company for its new plant. 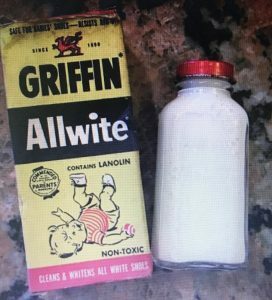 The formula for shoe polish that made a millionaire of Anthony Aste, who began life as a roving boot black, was stolen by the Two-in-One Shinola Bixby Corporation with the aid of Dr. Raymond Warburton, a chemist formerly employed by Aste, Justice James C. Cropsey ruled today in Equity Term of Supreme Court. He gave an injunction in favor of the Griffin Manufacturing Company, Aste’s corporation, and said the defendants must pay damages which may amount to $250,000. Evidence before Justice Cropsey showed that for a long time the defendant concern tried to obtain the secret of the high quality of Aste’s invention. They made hundreds of analyses and tried to buy up the Aste concern and consolidate all the shoe polish manufacturers. Failing to do that, it was charged that they hired Dr. Warburton, who had been employed by Aste as confidential chemist from 1916 to 1919 and knew all the secrets. “Upon payment of $1,000 they obtained from him both the plaintiff’s process and formula.” said Justice Cropsey in his decision. The attempt by the corporate defendant to prove that it did not obtain plaintiff’s process from the former employee is clearly shown to be untrue. 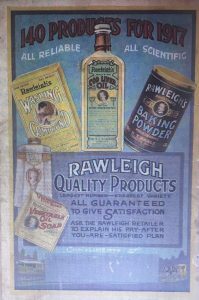 The pastes and polishes were not the only interests of the company. 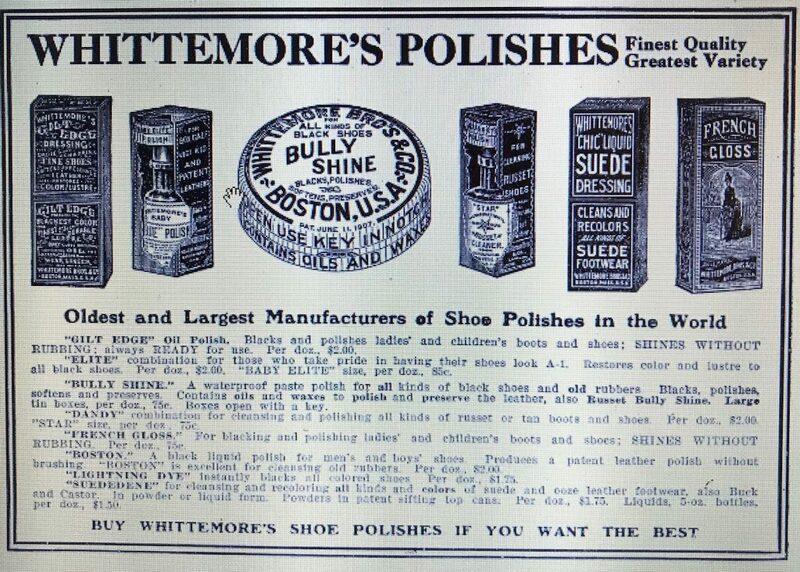 According to an article in the August 24, 1922 issue of “Printer’s Ink,” Griffin owned patents to a number of shoe-shine related appurtenances and designs as well. They own the patents on the rubber tipped shoe rest that makes it easier for the customer to keep his foot steady under the shining cloth of the operator. Another feature looking to the comfort of the patron has been the armchairs with a bit of space between them allowing the use of both arm rests for comfort. Another patented design is the half step at one side that makes it easier for women to reach the chairs without danger of damage to skirts and with greater comfort and less embarrassment. In a visit with Mr. Aste where he was supervising the opening of a new parlor he laid special stress on these service features and the real quality of the polish manufactured by the concern. He felt a pride in the accomplishment of his plans and did not hesitate to say that any stand that would install his features and use his materials correctly would make a success, provided the location was right. The company was still listed on Willoughby Avenue in the 1955 Brooklyn Telephone Directory, but by 1959 I can no longer find them. Sadly, the Willoughby Avenue location is now a parking lot for Home Depot. It appears that the business (or at least the name?) was purchased in 2013 and is now called the Griffin Shoe Care Company, located in Crystal Lake, Illinois. So, if you want, you can still buy Griffin Shoe Polish today! The history of the business between the late 1950’s and 2013 is not clear. 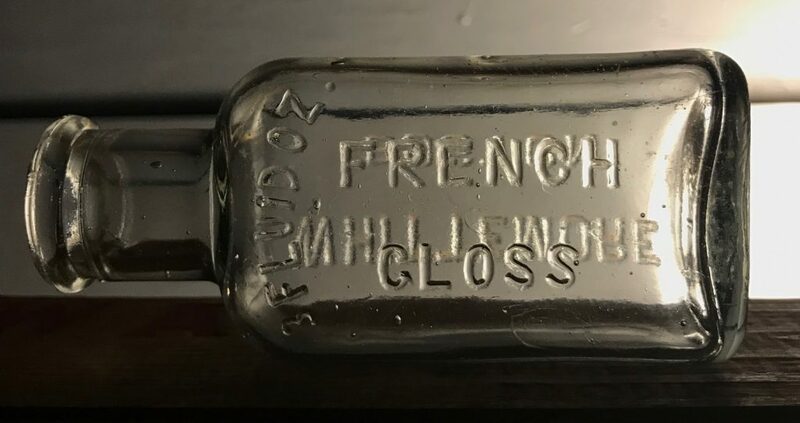 The bottle I found is a small (2 to 3 oz.) machine made bottle probably made in the 1920’s, prior to their move to Willoughby Avenue. 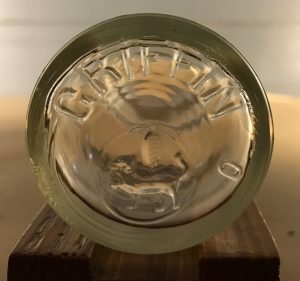 It has the name “Griffin” and a picture of a griffen, the company’s trademark, embossed on the base. The griffin was an antique monster with the body of a lion and the head and wings of an eagle. 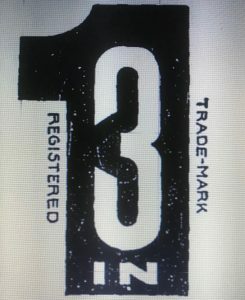 According to a Counsular Report to the House Of Representatives dated 1901, the company registered and was using the trademark in the United States for several years. This dates its use back to the late 1890’s. The Report went on to say that they did not have rights to the trademark on products shipped to Germany. 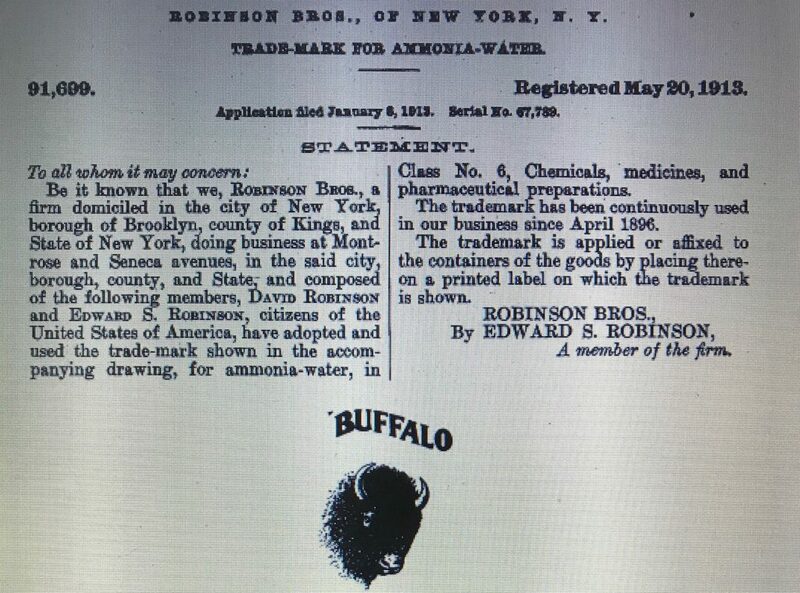 Buffalo Ammonia was manufactured by the Robinson Brothers Chemical Works of Brooklyn New York.. The application for their trademark buffalo, registered on May 30, 1913, stated that it had been continually used in the business since 1896. The first listing I can find for the Robinson Brothers Chemical Works was in the 1897 Brooklyn City Directory, located on Montrose Avenue, corner of Seneca Avenue. (They are not in the 1889 directory and I don’t have access to directories in-between.) The business remained listed at that location through the late 1940’s. 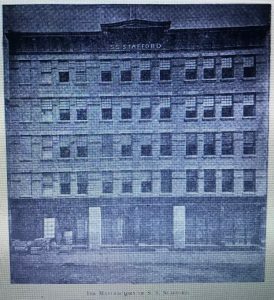 By 1949, the business address had changed to 235 Randolph Street, also in Brooklyn, where it was still listed in the mid-1960’s. The 1913/1914 Copartnership and Corporation Directory for Brooklyn listed the brothers’ names as Edward S. and David Robinson. In the same directory in 1922, only David was listed. 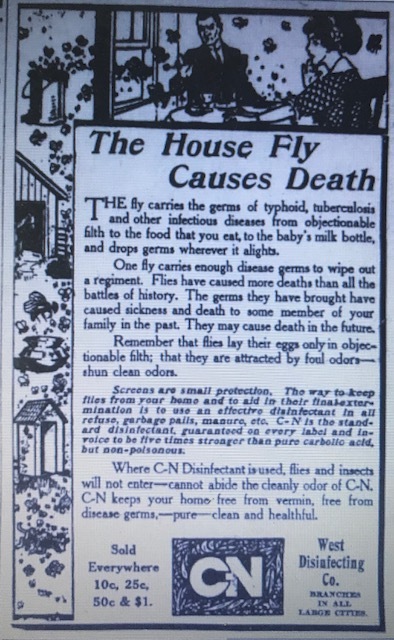 Buffalo Ammonia was advertised with a wide variety of uses both as a cleaning fluid and toilet article. 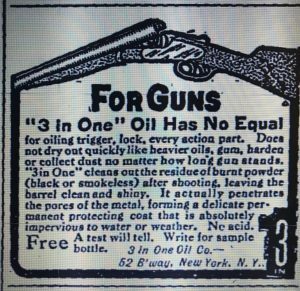 An item in the August 25, 1923 issue of “Brooklyn Life,” while lengthy, paints a good overall picture of it’s “as advertised” qualities and benefits. Doubtless few appreciate the many uses of ammonia and the importance for most purposes of it being pure. Most of the cheaper brands of ammonia sold in bottles consist for the most part of water softened by the addition of caustic soda, or soda ash, and containing only enough ammonia to impart to the solution the odor of the chemical. When used for washing clothes, ammonia solutions containing caustic soda are very injurious as the soda will cause the fabric to rot or disintegrate. Impure brands of ammonia, therefore should never be used for laundry purposes, while for other household uses, such as cleaning nickel work on gas stove ranges and other appliances, and removing stains, a pure ammonia is incomparably more effective. 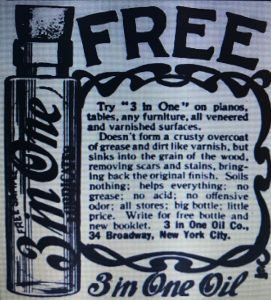 Its purity, coupled with its low price, is the chief distinction of Buffalo Ammonia, manufactured by the Robinson Brothers Kings County Chemical Works at Montrose and Seneca Avenues, Brooklyn. This ammonia is perfectly pure and clear and wholly free from caustic soda or soda ash, so that it can be used with perfect safety on the most delicate fabrics and employed with equal confidence for all household purposes. Not only that, but it is equally good for toilet purposes. Added to the bath, especially in hot sultry weather it will make the water feel smooth and soft and without the use of soap, leave the skin equally smooth and soft as well as odorless and clean and impart to the body a delightful sensation of coolness. For shampooing the hair it is equally good. A teaspoonful should be put into the water with the soap. This will produce an abundant lather when rubbed into the scalp with the fingers and, having washed the hair with clean water and rubbed dry with a towel, it will be left soft and fluffy. The use of the ammonia will also tend to prevent dandruff. A little Buffalo Ammonia placed in the water will also make shaving much easier and smoother by softening the beard. Incidentally it is a perfect substitute for smelling salts, the reviving effects of which are due wholly to the ammonia they contain. A whiff of Buffalo Ammonia will produce the same revivifying effect. 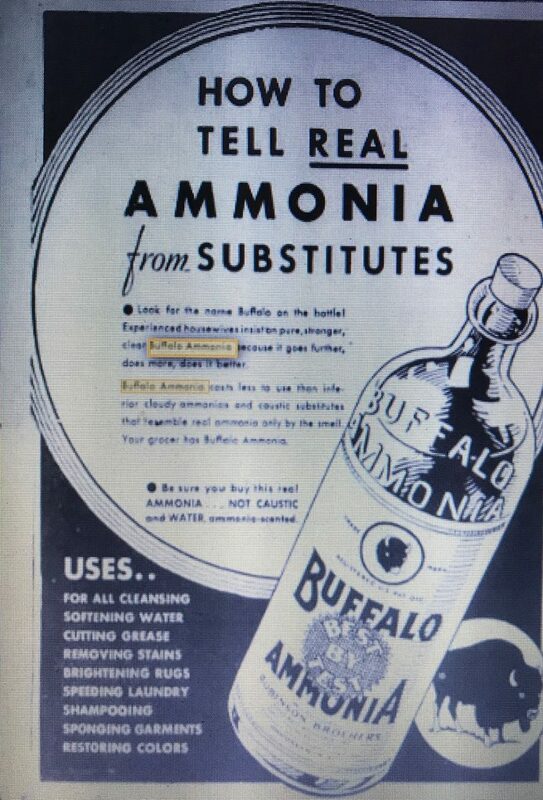 Buffalo Ammonia is sold by all grocers. 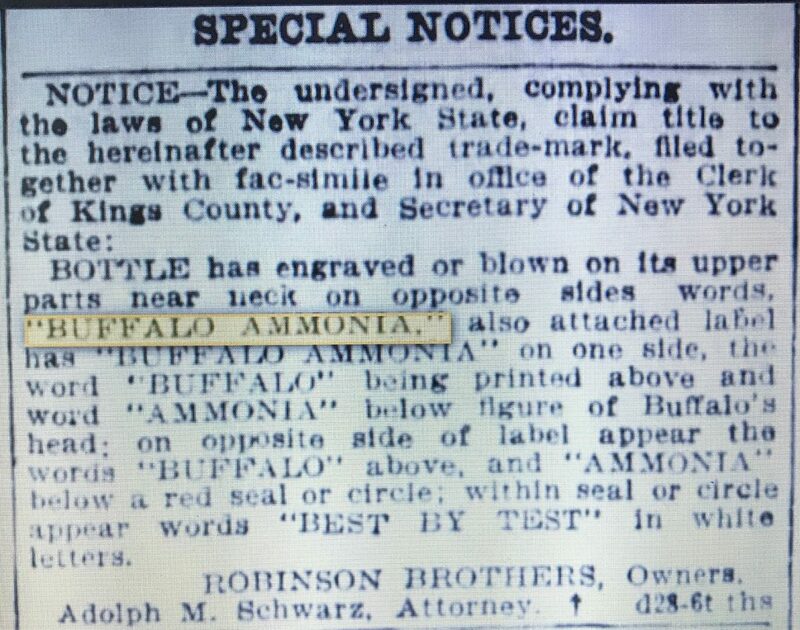 The bottle and labeling of Buffalo Ammonia was described in a “Special Notice” printed in the January 4, 1912 issue of the Brooklyn Daily Eagle. 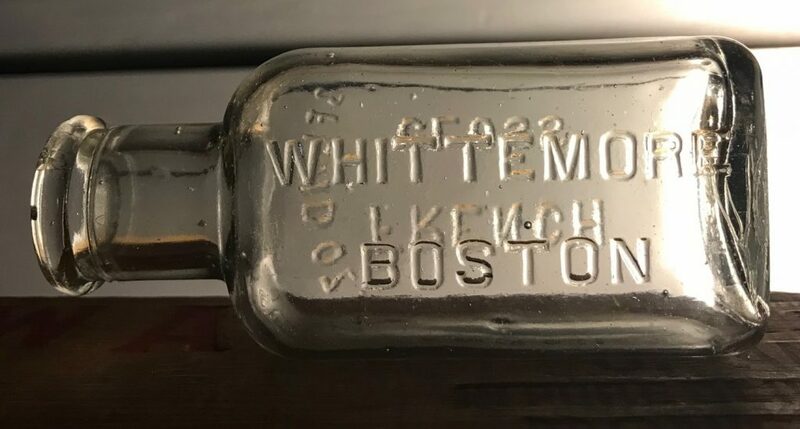 This description of the bottle “Engraved or blown on its upper parts near neck on opposite sides words BUFFALO AMMONIA” fits the bottle I found exactly. 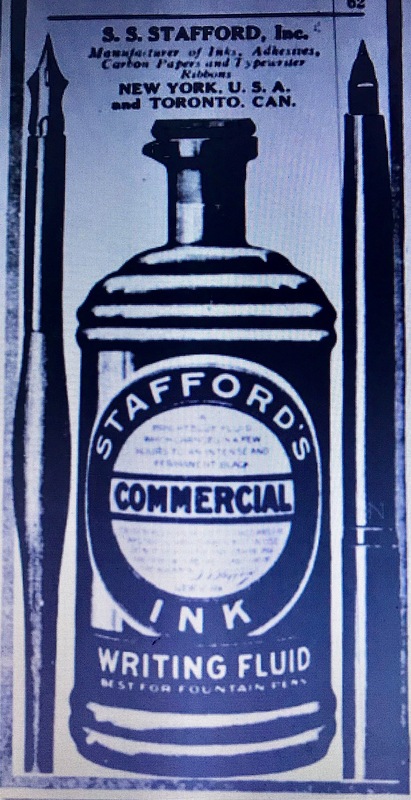 Both the bottle and label, as described, are shown in a 1932 advertisement. 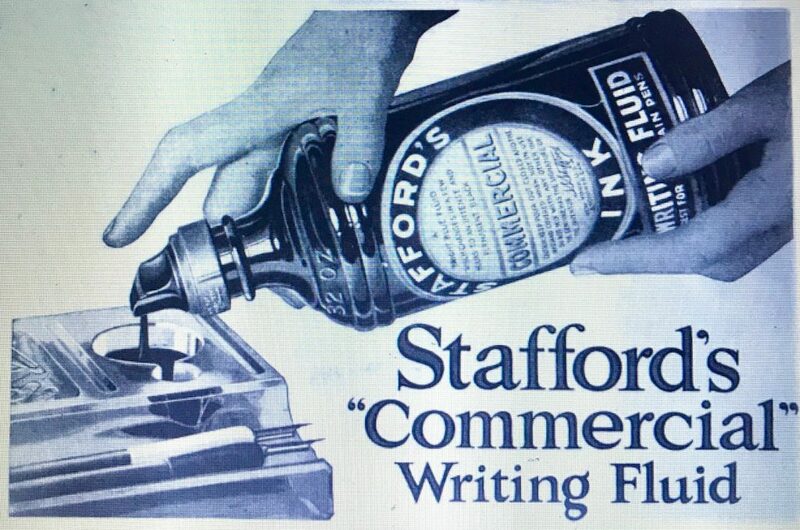 In a 1949 advertisement, other than a screw-top finish, the bottle didn’t change much. Today Montrose and Seneca Avenues do not intersect. Seneca (north-south) terminates at a railroad corridor and Montrose (east-west) terminates west of Seneca. I guess it’s possible that at one time Montrose continued east adjacent to the railroad. 235 Randolph is currently part of a yard that stores/services aerial lift vehicles. It is located directly adjacent to the same rail corridor. It’s possible that both locations are actually one and the same and that the address simply changed as the neighborhood developed around the Robinson facility. 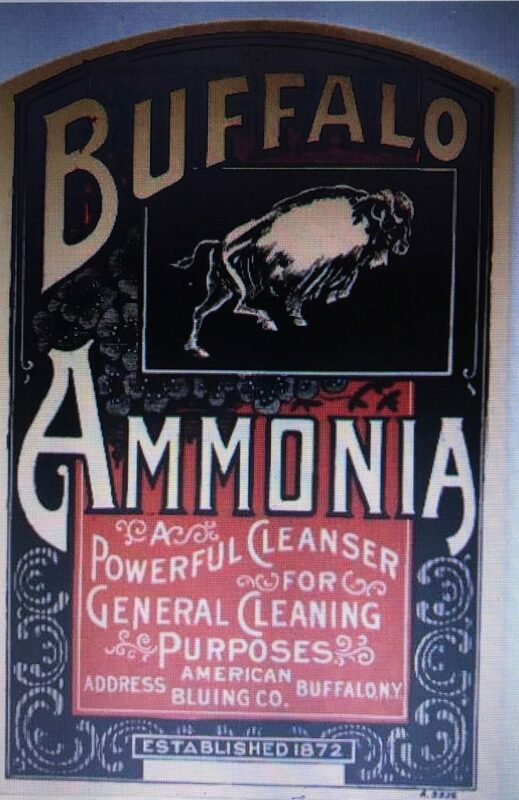 On a final note, a business called the American Bluing Company, located in Buffalo New York also manufactured a product called Buffalo Ammonia. Advertisements for their product say that the company was established in 1873 and they used a different image of the Buffalo on their packaging so the two companies don’t appear to be related. I guess it’s possible that the Brooklyn company was a knock-off or copy cat of the Buffalo company? The S. M. stands for Samuel Merrill Bixby. 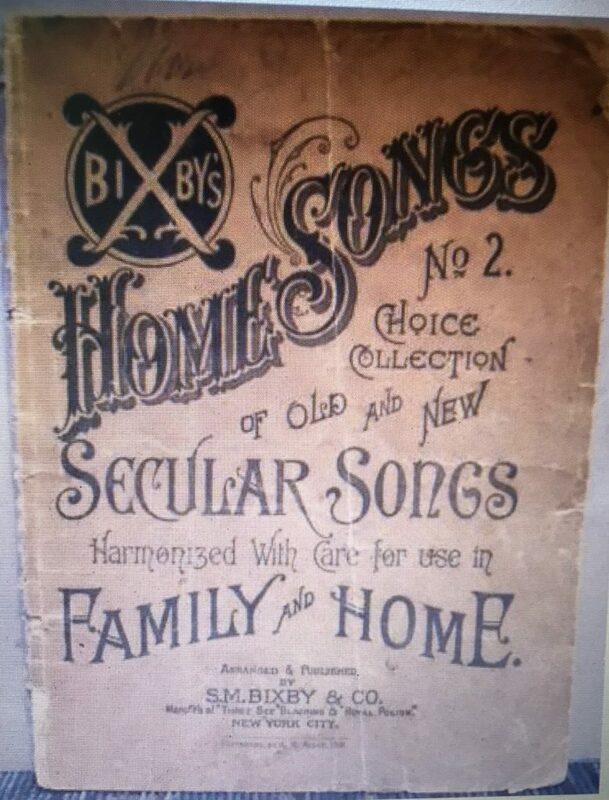 His company, S M Bixby & Co., started in 1860 and was in business for over 60 years. 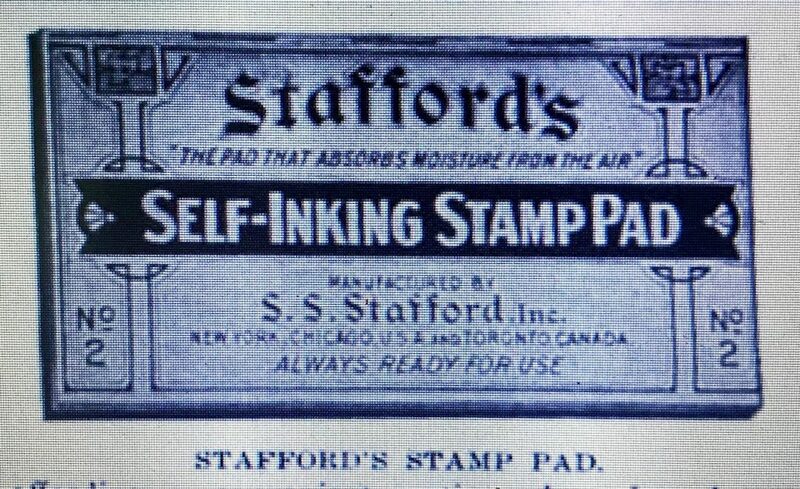 They manufactured ink and glue items but their main product was shoe blacking and polish. The February 7, 1920 issue of the Brooklyn Daily Eagle featured S. M. Bixby & Co. in a series called “The Wonders of Brooklyn.” Much of the information it contains is the product of an interview with Theo W Rich, manager of Bixby’s export department at the time. 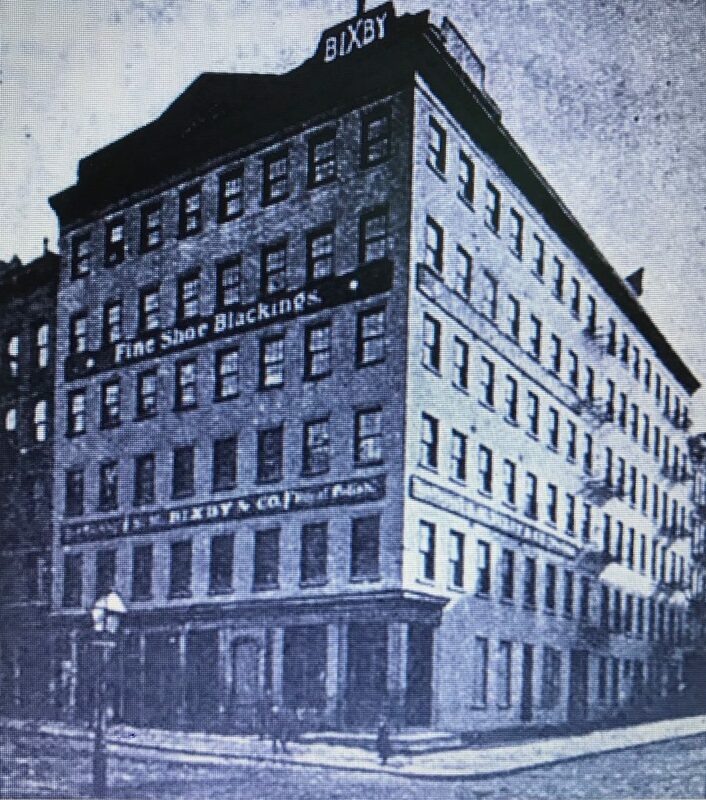 It was back in the year 1860 that Samuel M Bixby began to make shoe polish in the basement of his shoe store on 8th Ave., in old New York. At that time the people of the United States were mostly dependent on foreign-made shoe blackings, which were imported in large quantities. One that was quite popular was applied with a flat stick – one end embedded in the cork – and then rubbed furiously with a heavy brush to obtain a shine. The directions on another, a crumbly cake-like substance, urged our ancestors to “take a piece the size of a pea” with no hint of whether they had reference to petit-pois or marrow fats, and no distinction between sizes 3 1/2 B and 9 shoes. Were the members of the present generation compelled to use such stuff, after a taste of the niceties of modern invention, the air would become blue with piratical execration. The founder of our industry was bent upon improvement and uplift. The spontaneous popularity achieved by his product made his shoe business an affair of minor importance, and he forthwith engaged exclusively in the manufacture of shoe polishes in modest quarters at the corner of Washington and Dey Streets. After more than twenty-five years of steady increase in the business, a removal was made to a large factory building on Baxter Street near Canal where the output assumed such proportions that another removal became necessary. It was then that the citizens of Brooklyn beckoned kindly, and we negotiated the purchase of this building, formerly a shoe factory, together with a large area of unimproved property adjoining it at the rear. This was in 1910. The NYC directories confirm much of this story. From 1867 up through 1886 the S.M. Bixby & Co. was listed with the classification of blacking. The address over this period was listed as either 74 Dey or 173 Washington (corner of Washington and Dey). Between 1886 and 1888 their address changed to 194 Hester (corner of Baxter) and the business was listed there through 1910. Kings Handbook of New York City, published in 1892, included a section on S.M. Bixby & Co which included a photograph and description of the Hestor Street operation. The particular articles by which S.M. 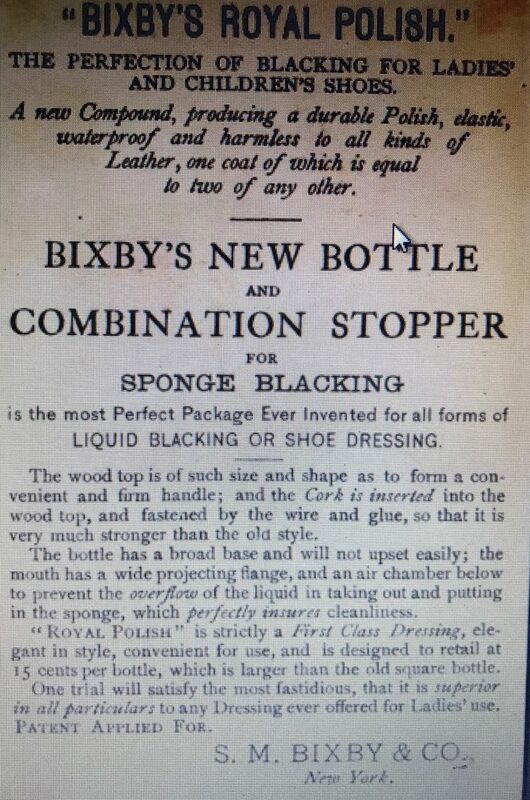 Bixby & Co. have won their reputation are “Three Bee” Blacking and “Royal Polish” the former a paste blacking for men’s boots and the latter a liquid dressing, for restoring the color and gloss to ladies’ and children’s shoes. The building in which these goods are manufactured is an imposing six-story structure, supplied with machinery and appliances necessary for the business, and is the largest one in existence devoted exclusively to the manufacture of shoe-blacking. It is located at 194 and 196 Hester Street, adjacent to the busiest part of Broadway, and one block from Canal and Centre Streets. The salesroom and offices of the company occupy a portion of the second floor, while the shipping department and stockrooms are on the main floor. The remainder of the space in this immense building is divided into various departments, where the compounding and putting up of the blacking is done. In all departments the manufacture is an interesting one, and furnishes employment to upwards of 150 hands. It is not alone the excellence of their blackings and dressings and the convenient and perfect form of putting them up, that have given S.M. 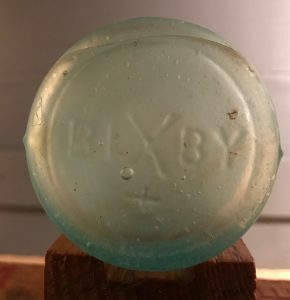 Bixby & Co. the leading position they occupy today in their especial line, but their persistent and novel methods of making the merits of the goods known, and a display of an unflinching determination to be always abreast of the times. Equipped with electrical power, well-arranged mixing utensils and a labyrinth of labor-saving machinery, this plant has hummed its daily note of inspiration to its army of contented workers during the ten years that have elapsed since the Bixby organization made Brooklyn its home. The operation of the various mechanical departments make interesting moving pictures to which must be added the swish of steaming kettles, the rumble of the presses that stamp out the tin boxes, and the never ceasing jingle and rattle of glass bottles in which “Jet Oil” and “Royal Polish” for black shoes, “AA Brown for brown shoes and “Shu-Wite” canvas shoe cleaner are filled. 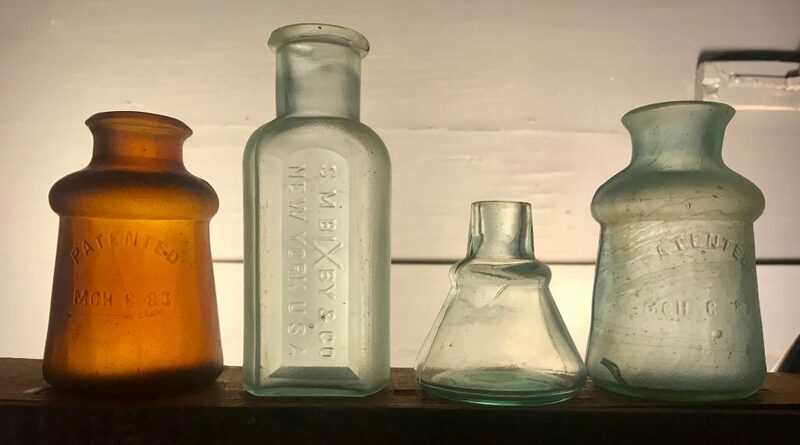 Imagine , if you will, the filling of these bottles by an expert operator, whose cleverness enables her to pick up empty ones and remove those that have been filled at the rate of 34 to 36 per minute and meanwhile tell her coworkers of the fun she had at a dance the night before. Samuel Bixby was the president of the company up until his death on March 11, 1912. His cousins, Samuel A. Bixby and Willard G. Bixby continued to run the company after his death. 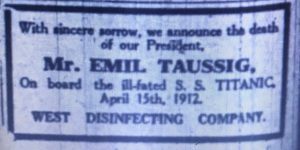 Both are listed as president at various times between 1912 and 1920. The F.F. Dalley Corp’n was incorporated March 23, 1920, under the laws of New Hampshire, and began business Jan. 1, 1921. Through ownership of capital stock, this Corporation controls F.F. Daley Company, Inc., S.M. Bixby & Co., Shinola Company, Munroe Novelty Co., Thermokept Corporation, F.F. Dalley Co. of Canada, Ltd., and Morris Howard Realty Company. The last individual listing that I can find for S.M.Bixby & Co. is in the 1924 directory at the 2nd Avenue location in Brooklyn. As far as I can tell, none of the Bixby buildings located in Manhattan still exist today. The former Washington Street/Dey Street intersection is now located within the new World Trade Center complex and no longer exists. The Brooklyn location on 2nd Avenue may still exist as 201 46th Street. It’s a five-story manufacturing building built in 1900. 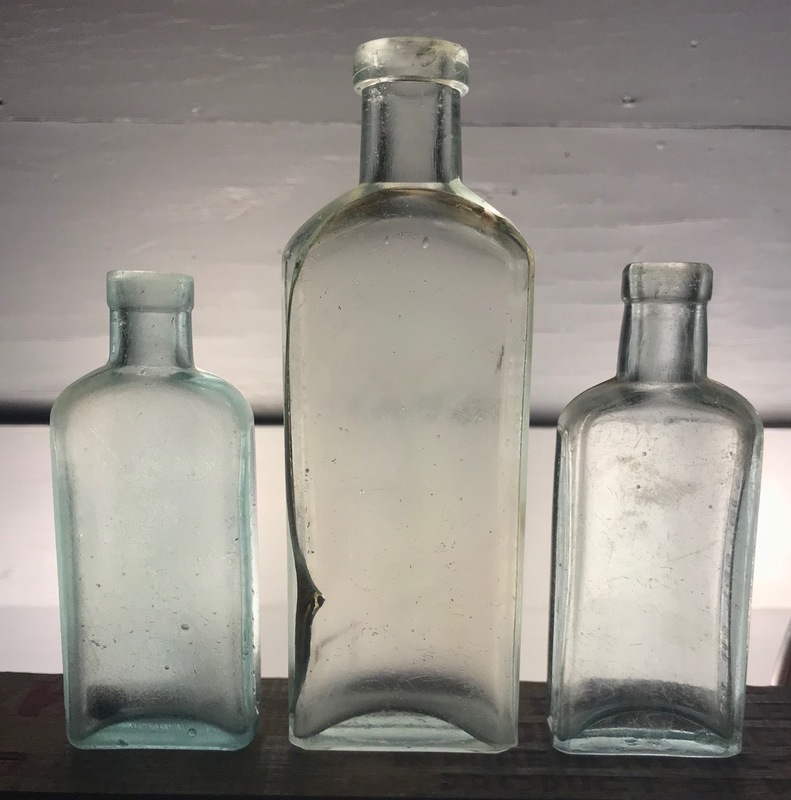 I’ve found three different types of Bixby bottles over the years. 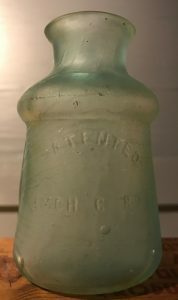 One is their uniquely shaped bottle with a March 6, 1883 patent date embossed on the front and Bixby, with an oversized “X” embossed on the base. 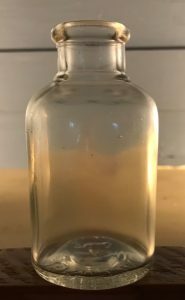 The bottle has a broad base and will not upset easily; the mouth has a wide projecting flange, and an air chamber below to prevent the overflow of the liquid in taking out and putting in the sponge, which perfectly insures cleanliness. I’ve found both aqua and brown versions of this bottle. The second type is shaped like a rectangular medicine but with rounded sides and the third is a cone ink with Bixby embossed on the base. All are mouth blown. The Carbona Products Company was founded sometime around the turn of the century but the actual start date is not clear. The company’s initial product was a first of it’s kind non-flammable stain remover called Carbona, the trade name for carbon tetrachloride. Up to that point clothing and fabric stains were treated with gasoline which resulted in a significant number of household fires and explosions. 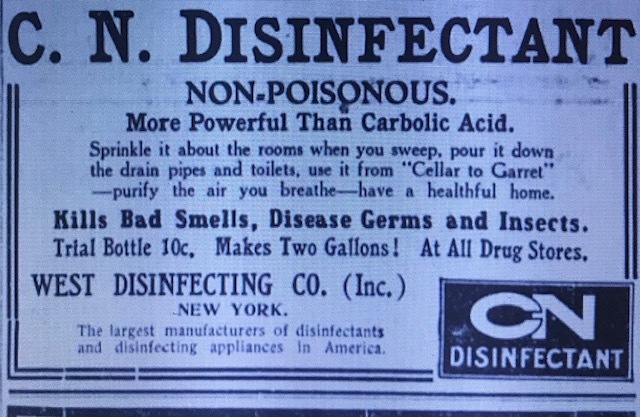 Ernest C Klipstein, the company’s first president began importing carbon tetrachloride from Germany as a dry cleaning and spot removal solvent as early as 1898 (some documents say 1888) and I’ve seen Carbona listed in a Riker’s Drug Store advertisement as early as 1904. 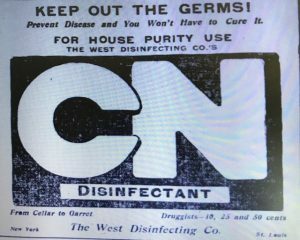 However,the first mention of the company that I could find is in a 1907 issue of the Druggist and Pharmaceutical record where the address was given as 80 William Street, New York. Benzin is altogether too dangerous to be carried in stock, as it’s history has abundantly shown. A good substitute for it is Carbona, which is absolutely unburnable. This product is manufactured by the Carbona Product Company, of 80 William Street, New York. 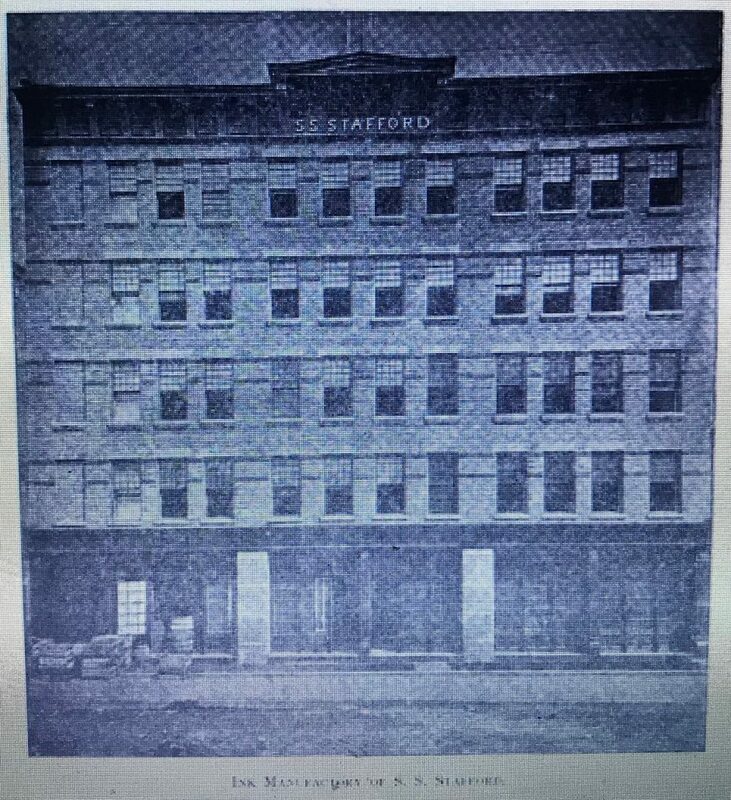 Shortly thereafter, the company moved to Newark New Jersey where they incorporated in 1907 with capital of $700,000 and Klipstein as president. The business was listed in the Newark Directories from 1908 to 1911 at 5 Burnet Street. During this time I can’t find a New York listing for them. 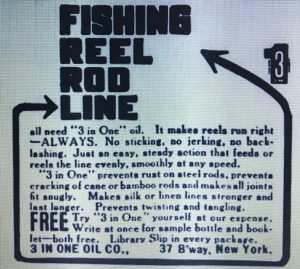 Then, in 1912, they returned to New York and it appears that they operated a significant portion of the business there over the next several decades. 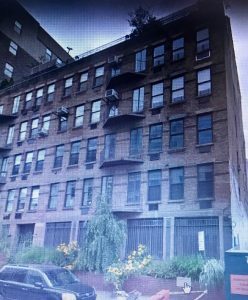 That year they were listed at 148 West 23rd Street and then between 1915 and 1925 their address was listed in the directories at 302 W 26th Street. At times during this period they also used 5 East 43rd Street as an address. Sometime in the 1920’s they moved their operation to Queens. 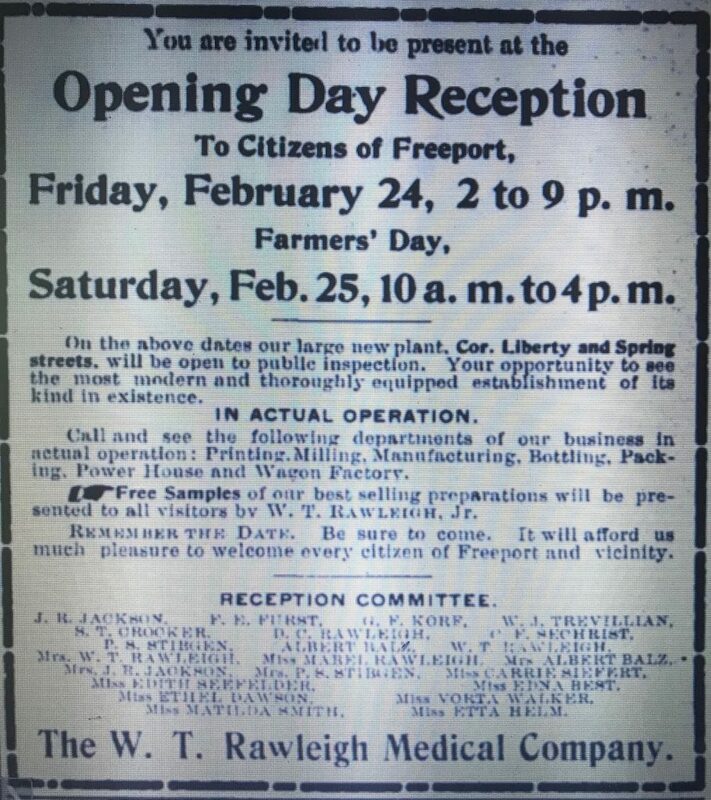 An article in the February 5, 1921 issue of the Brooklyn Daily Eagle announced that they were establishing a factory in Long Island City. 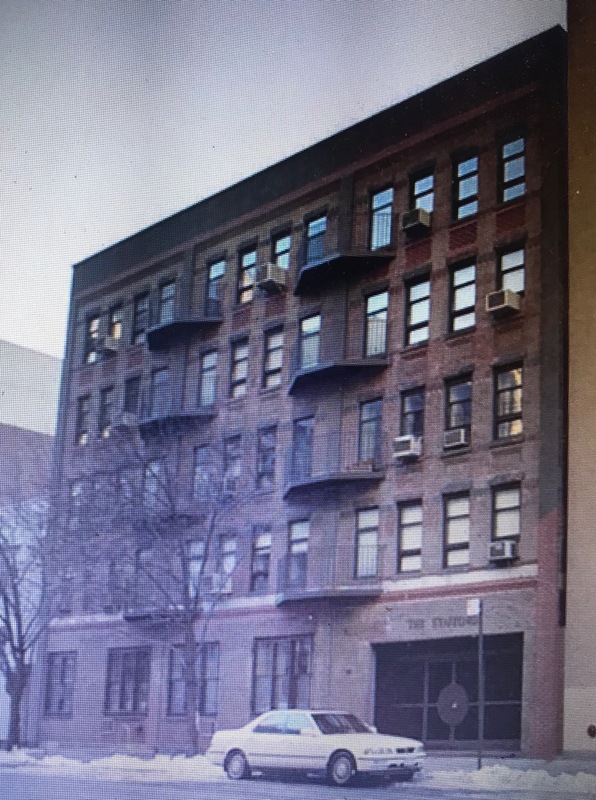 Announcement has just been made that the factory of the Carbona Company, a non-explosive cleaning preparation, is to be established on Van Alst Avenue in Long Island City. The office of the Company is now located at 5 East 43rd Street, Manhattan. The management plans to come to Long Island City in order to get more room and larger accommodations to meet the increasing demand for their product. 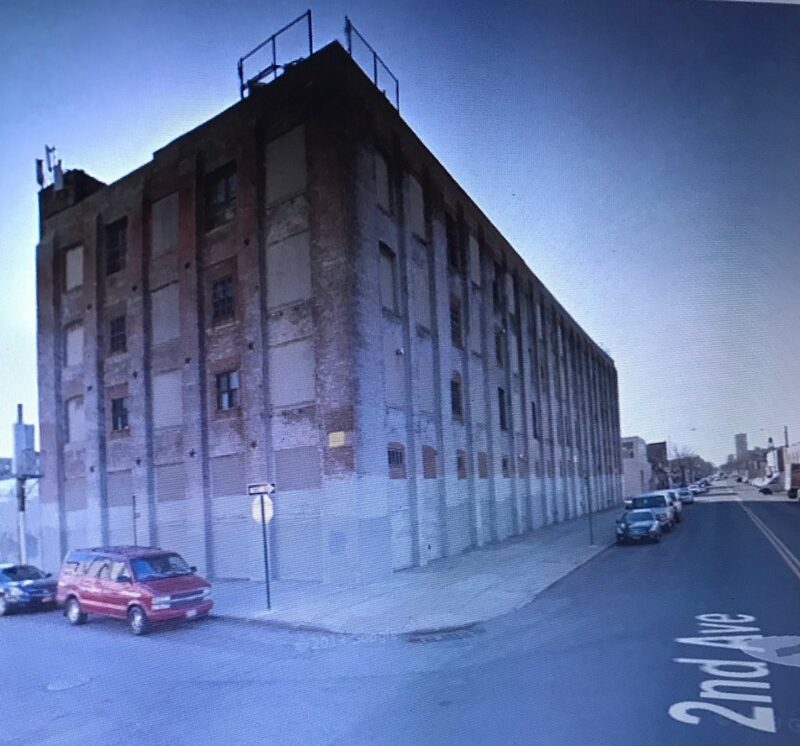 The Carbona Products Co. of New York has acquired for occupancy the railroad siding property including building, located on the block front of Greenpoint Avenue and Review Avenue in Long Island City, for the processing and distribution of its products. The brand name was acquired in 1994 by Delta Pronatura and still exists today. According to their web site, Delta Pronatura is the leading manufacturer of stain removal and household cleaning products throughout Europe. 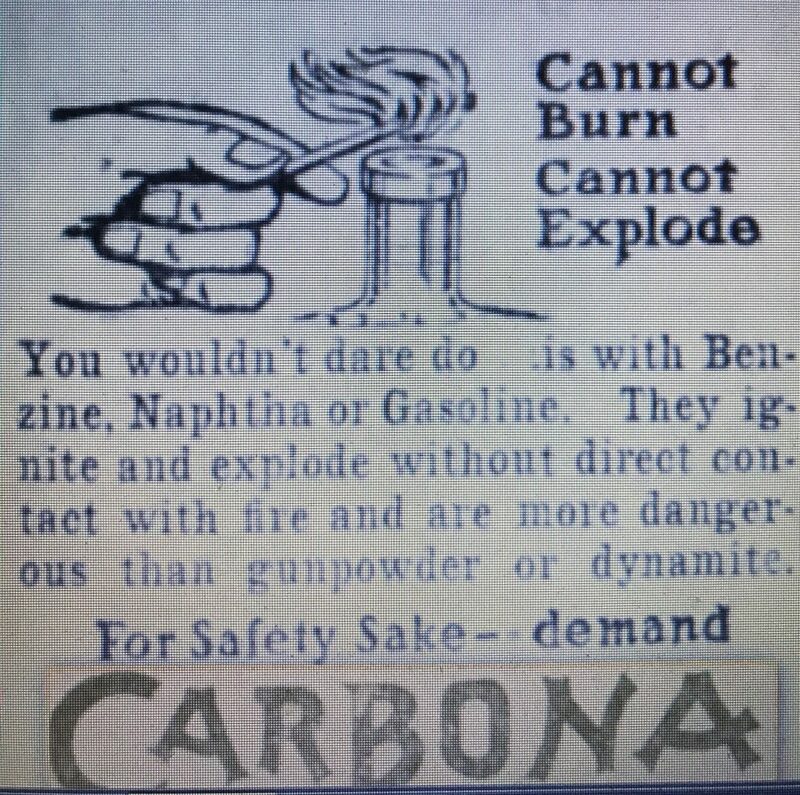 In addition to stressing it’s non-flammable properties, early Carbona advertisements called the product a cleaning fluid that removed grease spots without injury to fabric or color. 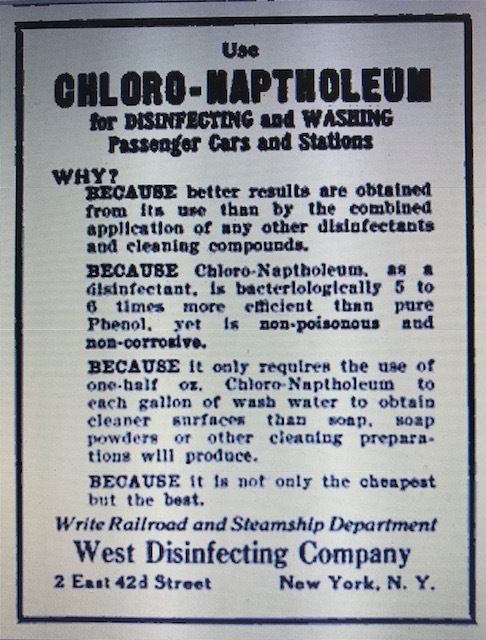 Carbon Tetrachloride was the first chlorinated solvent used in dry cleaning operations and was commonly used in dry cleaning by the 1930’s, so there’s a lot of truth in their advertising. The company made a number of other non-flammable products as well. 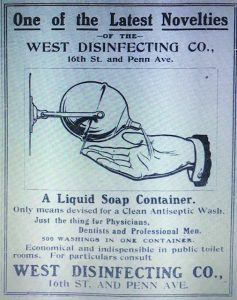 A 1908 item in the American Druggist and Pharmaceutical Record listed Carbona as well as Carbona Liquid Soap, Carbona Cream, Carbona White Satin, a polish for silver and Carbona Black Satin, a polish for stoves. 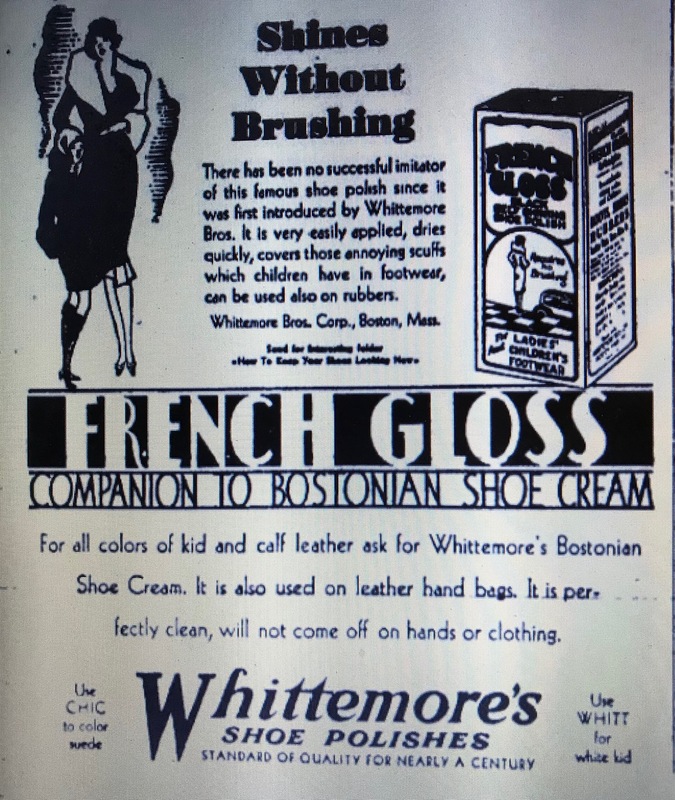 By the 1930’s, it appears that cleaning people’s leather shoes was not enough and they started manufacturing shoe polish as well. Carbona sniffing seems to be increasingly popular among adolescents, and its use in a group that has abused other drugs complicates an already difficult situation. 80 William Street and 302 West 26th Street in Manhattan, as well as 5 Burnet Street in Newark, all no longer exist. 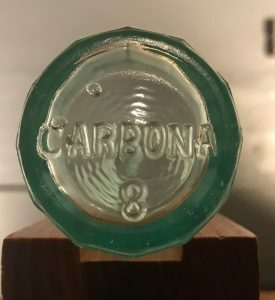 The bottle I found is a twelve ribbed machine made bottle with “Carbona” embossed on the base. It’s probably from the late teens or 1920’s. Everett and Barron was founded in 1895 by Samuel A Everett. 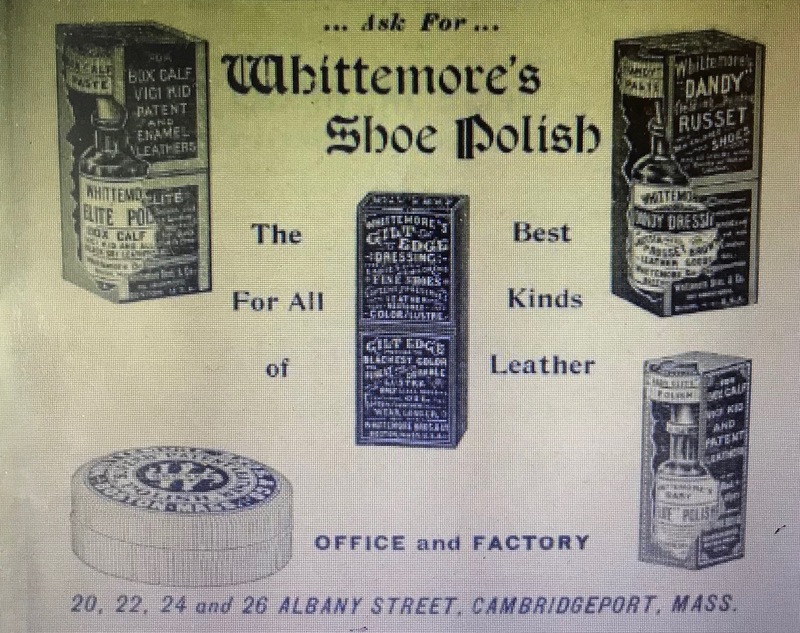 The company’s activities centered around shoe polish and dressings. The Who’s Who in New England, published in 1916, maintained a listing for Samuel A Everett. Founded the firm of Everette & Baron, mfg. agts., 1895 and became sole owner in 1897; incorporated in 1903, Everett & Barron Co., of which he has since been president and treasurer. The business was located at 217 Canal Street through the late teens and later at 359 Eddy in Providence. Samuel A Everette was still listed as president and treasurer through 1945 (at 79 years old). A year later, in 1946, P. A. Boyd had replaced Everette as president and treasurer.The business was still listed in the Providence Directories as late as 1964 (the latest directory I could find). Early on, the company sold several products under a brand name called U.N.O. 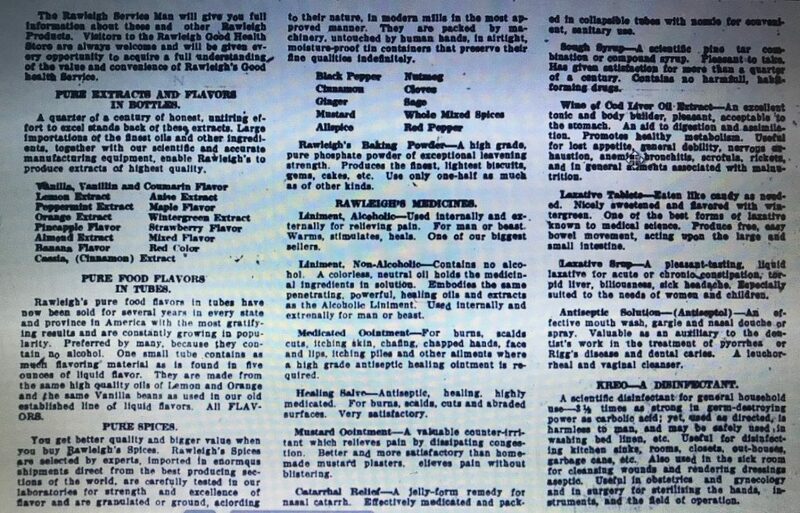 In 1906, the company acquired the Columbia Shoe Dressing Co. and the Burbank Manufacturing Co. A notice in a 1906 issue of the “Canadian Shoe and Leather Journal” announced the acquisitions and provided a partial summary of their expanded product/brand menu. 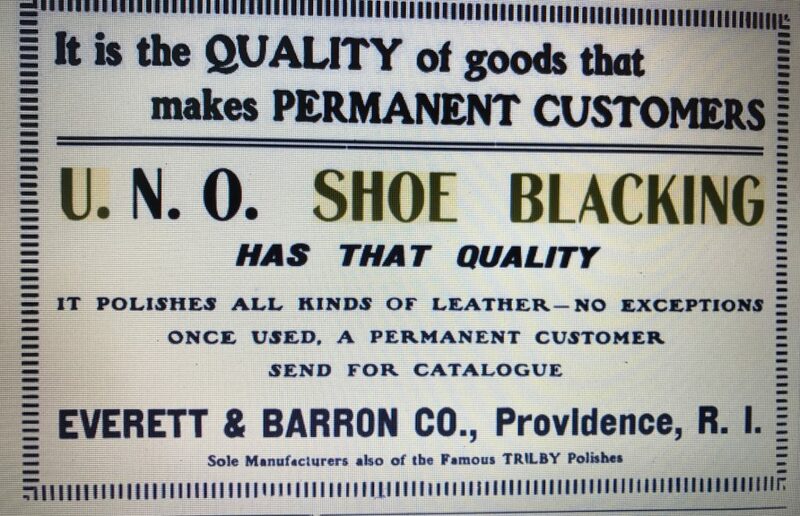 Everett & Barron Company of Amherst Nova Scotia and Providence Rhode Island, manufacturer’s of the “U.N.O.” Shoe Blacking have recently purchased all trade marks, stock and good will of the Columbia Shoe Dressing Company, Bath, Maine and also of the Burbank Mfg. Co., Boston. 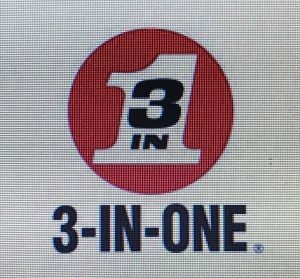 In addition to the line which they formally manufactured, they will now make the “Trilby Polish” , “Twentieth Century Dressing,” “Goodrich Combination,” and all brands manufactured by the Columbia Dressing Company, and also the “American National Dressing,” “University,” and other brands formerly owned by the Burbank Mfg. Company. They have also added more room to their Providence factory and are fitting it with the most improved machinery. 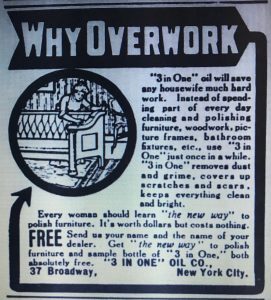 An advertisement from the 1920’s continued to promote their U.N.O brand and also mentioned one of the acquired brands, Trilby Polish. The company also maintained a Canadian factory in Amherst, Nova Scotia. 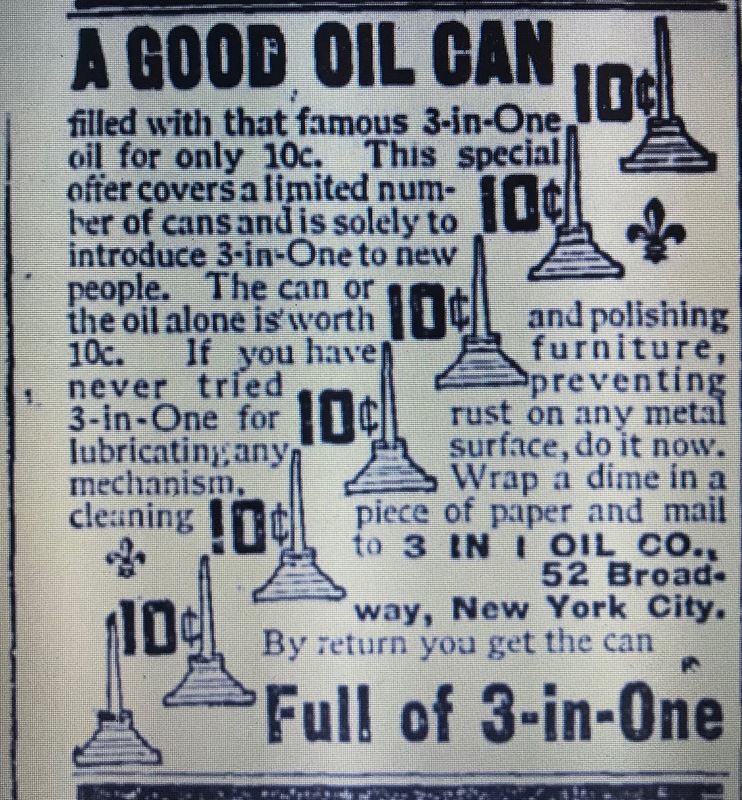 According to one 1910 magazine article, by then, they were “now shipping their polish in Canada from the Atlantic to the Pacific, and also covering Newfoundland, and other islands on the Canadian coast. The company maintained an office in New York City for a while as well. The Copartnership and Corporation Directories list them at 127 Duane Street between 1907 and 1915. During that time Frank B Mansfield served as the New York Manager. Apparently focused on sales, a September 11, 1907 article in the “Boot and Shoe Recorder” provided some background on Mansfield as well as Everett & Barron. Frank B Mansfield, representing the Everett & Barron Company, of Providence R.I., starts on Monday for his semi-annual trip through New York and Pennsylvania. The history of shoe polish in this section would not be complete without mention of Mansfield, for whether “Goodrich,” “Trilby,” or “U.N.O.,” the same individuality is behind the pushing of the goods…Ten years or more ago when liquid shoe polish was a struggling youngster on this market, Mr. Mansfield, as New York State manager, began the missionary work which was the foundation of a business of which one might well be proud. The old Goodrich concern was merged into the Columbia Shoe Dressing Company, and it’s trade marks, formulas etc. later purchased by the Everett & Barron Company, of Providence R.I., which is now making the entire line in connection with the well known U.N.O. brands of polish which are everywhere recognized as standard. 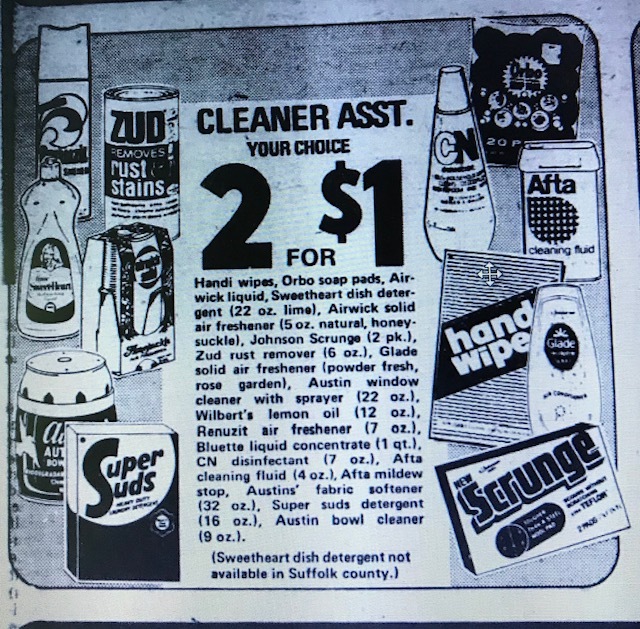 Mr. Mansfield starts out with the “best polish made,” not best simply because he is selling it, but because he believes it is, in which opinion he is confirmed by a goodly proportion of dealers throughout the territory. The company was also apparently committed to research of new products as well. The 1940 Bulletin of the National Research Council included them in a list of Industrial Research Laboratories. Their laboratory, which started around 1907, included a director and a staff of three chemists. They listed waterproofing compounds, dyes, emulsions, shoe dressings and similar compounds, paint, oils colloids and lacquers as research activities. It looks like they weren’t just focused on chemistry. 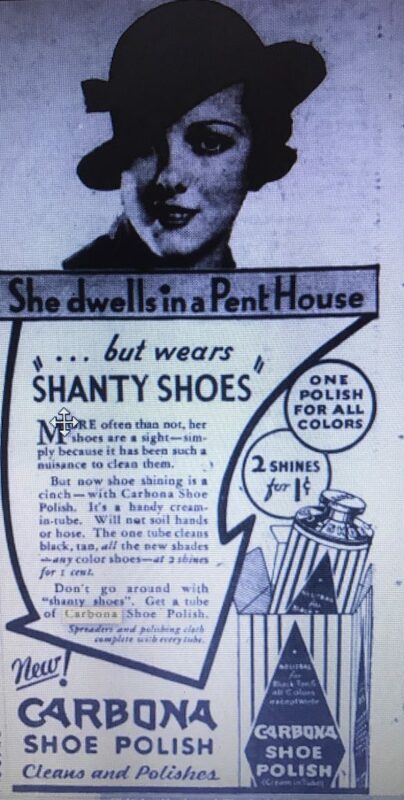 In 1927 they were advertising a combined polish, dauber and brush that was probably quite innovative at the time. The current building at 127 Duane Street was built in 1915. Everett & Barron’s last listing at that address was 1915 so I assume they were forced to vacate to facilitate construction of the current building. 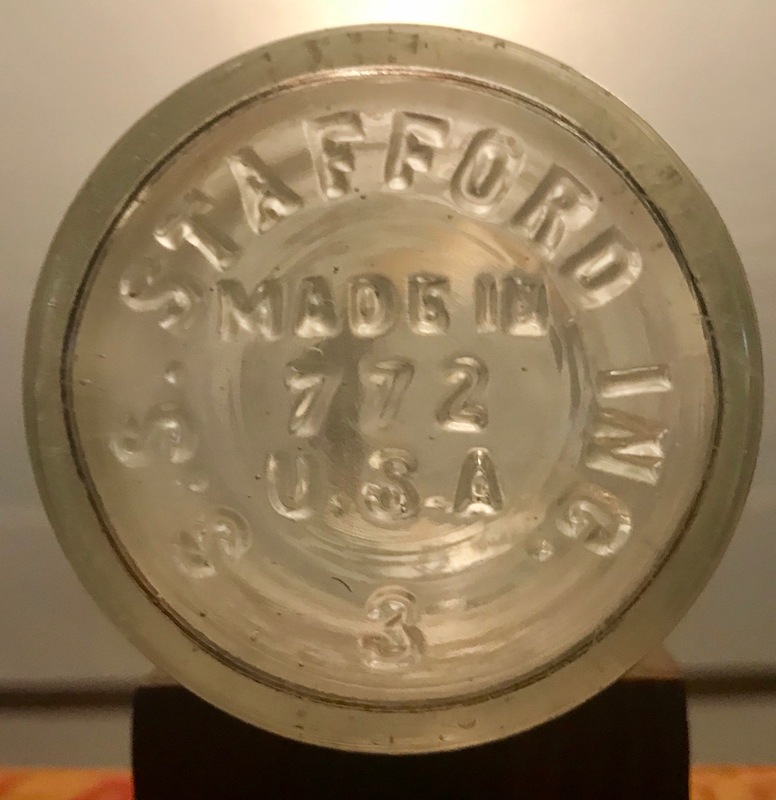 The bottle I found is machine made, listed as two ounces and probably from the 1920’s.